Jinko Solar works on a vertically integrated model, producing crystalline ingots, wafers, cells, and crystalline PV panels. The company is one amongst to show the fastest growth rates in Chinese Solar Panel Industry and has one of the lowest cost solar panel production process. Jinko is listed on the New York Stock Exchange. It has 1.2 GW capacity. JinkoSolar has an international presence with factories in Shangrao and Haining, the global marketing center located in the modern business area of Pudong, Shanghai. There are European representative offices in Munich, Switzerland, Bologna and Montepellier, a US office in San Francisco and logistics warehouses in Europe. Jinko has a wide customer base in more than 10 countries, including Germany, Belgium, Spain, Italy, France, the Czech Republic, Israel, the United States, Japan, Australia and China. Jinko Solar has a wide product range – producing Modules, Cells & Wafers. They all come in Monocrystalline & Multicrystalline makes. Jinko Solar modules are produced with nanotechnology-based silicon ink and processing platform and are UL, CSA, CEC, TÜV, VDE, MCS and CE certified. The PV modules can be widely applied in projects covering on-grid and off-grid systems for Residential, Commercial, Utility applications. The modules are designed to resist high wind pressure, snow loads, extreme temperatures and strict mechanical loading tests. Ideal for residential rooftop, commercial, public building, agricultural and industrial flat roofs to large scale ground-mounted solar plants. Ideal for places with space constraint, for example residential and commercial rooftop. Ideal for installations in regions of high temperature and high humidity. Ideal for installations in coastal or agricultural areas. 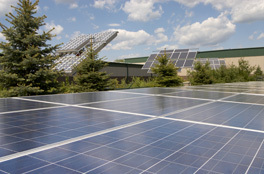 1) M Series – Ideal for any rooftop orientation and solar power plant applications. You can also visit the company’s website for more details. 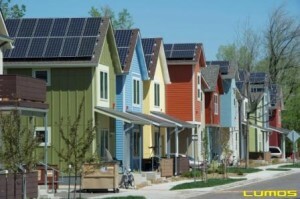 Jinko Solar is amongst the most cheap solar panel brands in the world. The prices the solar panels being sold are around $156 per 260 watt module, wholesale price for larger projects. For retail rates, the cost is generally 20% more. Jinko Solar is one of the lowest cost solar panel manufacturer in China. Since it is a small company hence it sells at a much cheaper cost. There were issues regarding pollution a couple of years ago, a brook got contaminated with waste from one of its factories, that set off violent protests. This questioned the company’s environmental credibility. Jinko’s shares lost 42% of their value in a week in the aftermath of the incident. However Jinko apologized for the spill, despite not formally accepting responsibility and made compensation payments to local farmers.